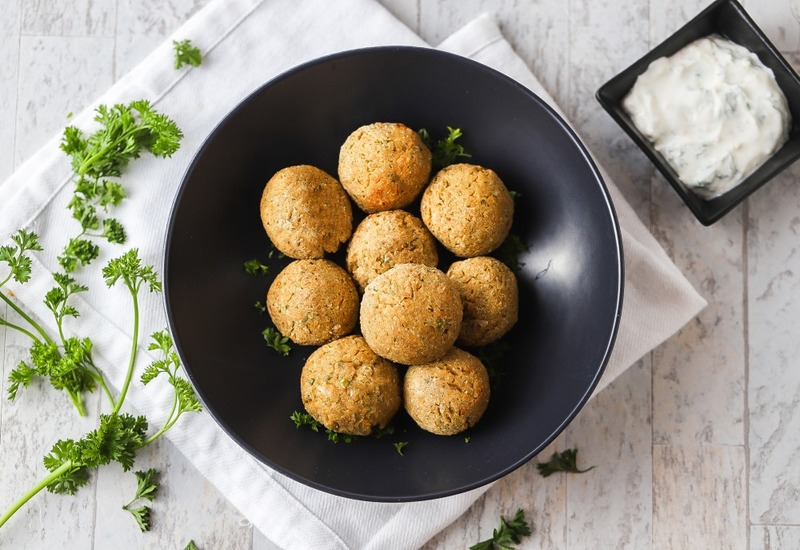 Falafel, a Middle Eastern dish made of chickpeas, parsley, garlic, and onion formed into balls, are typically deep fried. This recipe uses the air fryer which means the only oil used is cooking spray. The dough needs to be refrigerated for 4 hours, so give yourself plenty of time before pulling out the air fryer. Serve these savory treats warm with your favorite dipping sauce. If you don't like cilantro, double the amount of parsley and skip the cilantro. Make this gluten-free by using gluten-free flour instead of all-purpose flour. Per Serving: 105 calories; 2g fat; 18.6g carbohydrates; 5g protein; 0mg cholesterol; 526mg sodium.